When it comes to caring for your teeth, do you have a routine in place? A routine is simply a plan implemented again and again to help you reach a certain goal. Many people mistakenly assume that good teeth “just happen,” when really good (or bad) teeth are a result from the choices you make day in and day out. Developing a good dental routine is essential for achieving good oral health. Thankfully, a good dental routine is neither difficult or time consuming. Below are the five simple steps of a good dental routine to protect your smile for a lifetime. Floss daily. Flossing is the most neglected aspect of a good dental routine, despite the fact that it is the most important aspect. Every time you eat or drink, food particles, bacteria, and plaque become trapped between the teeth. Floss is the only tool specifically designed to clean these tight spaces. Therefore, if you are not flossing daily, you are allowing the spaces between your teeth to be constantly covered in plaque and assaulted by bacteria. Brush your teeth at least twice a day. Brushing the teeth is important because it helps to loosen and remove plaque from the surfaces of the teeth as well as keep the breath smelling fresh. Remember to choose a tooth paste with fluoride as an ingredient to protect the teeth from cavities and decay. Rinse your toothbrush well after using it. The friction of the bristles against your teeth are what remove plaque from your mouth. Inevitably, plaque will become trapped in the bristles, so it is important to take the time to rinse your toothbrush well after each use under fast, running water. It is also important to store your toothbrush in an upright position so that it dries quickly. Replace your toothbrush often. Even with diligence about rinsing your toothbrush off well after each use, bacteria will linger and multiply. It is recommended that you replace your toothbrush every 3-6 months in order to have a clean tool to use for cleaning your mouth. Visit the dentist regularly. While a proper at-home dental routine is essential, visiting the dentist on a regular basis it also vital. 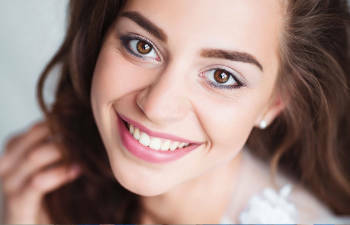 Having your teeth professionally cleaned and examined twice a year will keep your teeth clean, and it will also allow your dentist to notice any signs of concern early before they cause permanent damage to your smile. At Allen Dentistry, we encourage patients of all ages to develop implement a good dental routine. Contact us today to schedule an appointment.